When water is in motion, it engages our senses. It is very relaxing to listen to it as it falls, beautiful to look at it, restorative to our spirits and bodies and very thrilling to touch. 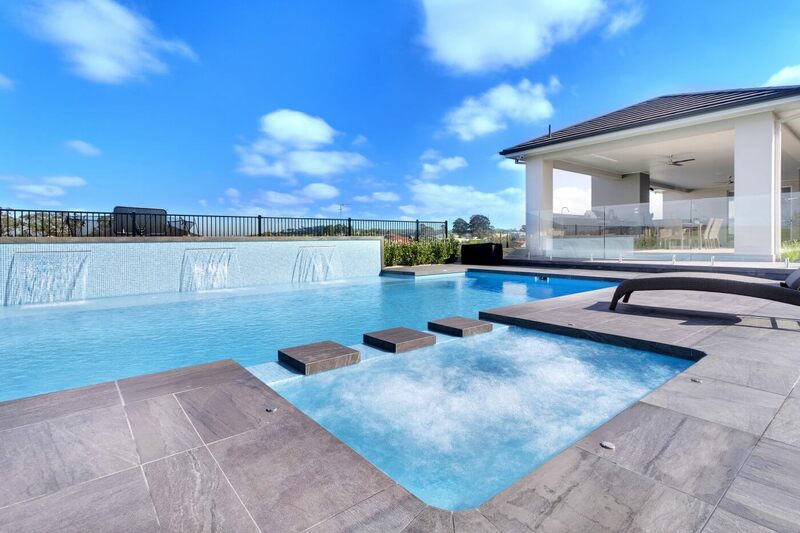 A swimming pool that has a water feature like a waterfall provides a water-on-water experience. This lures an individual into the environment and creates a stunning focal point. 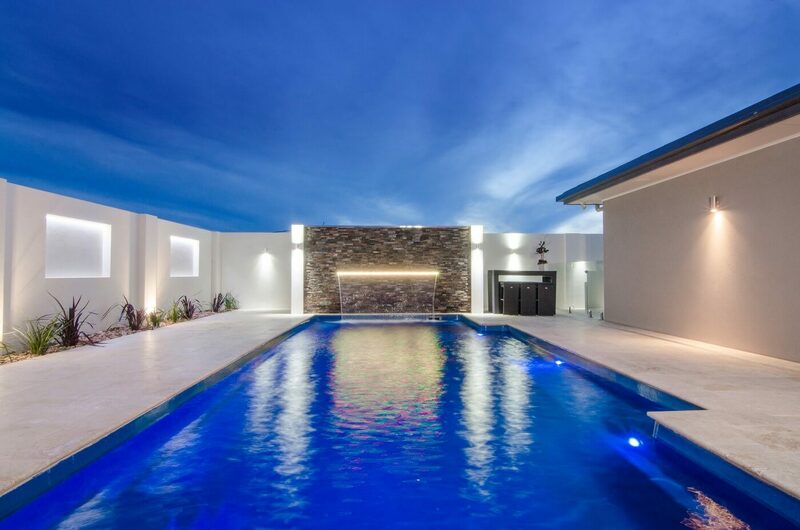 Like any other element in your backyard or your whole property, you will want to choose a water feature that will complement you swimming pool and home’s architectural style while still fitting into your budget and catering to your preferential taste. 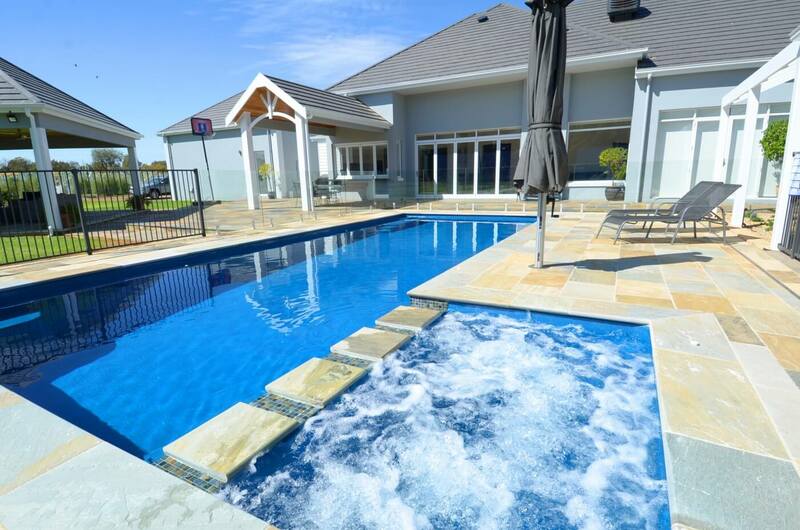 The first thing to consider when selecting a water feature for your pool is the scale and proportion of your swimming pool. You do not want to get a water feature that is too monumental because it will overwhelm your pool while making it look quite obnoxious. If you have a pool that is geometric of freeform, faux or real rocks will look beautiful on curvilinear, naturalistic-shaped pools. 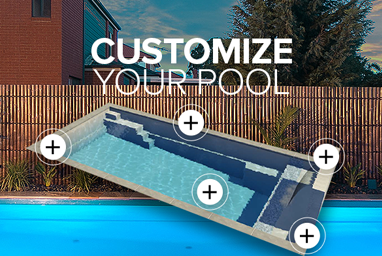 Also, simple water features that match with your architecture will enhance your rectangular or modern shaped pool. For more modern and simplistic shapes such as our fibreglass pool, water fountains, water walls or bubblers are the perfect options. Water features add an aesthetic value to a swimming pool and if you can add lights then your pool will look spectacular. 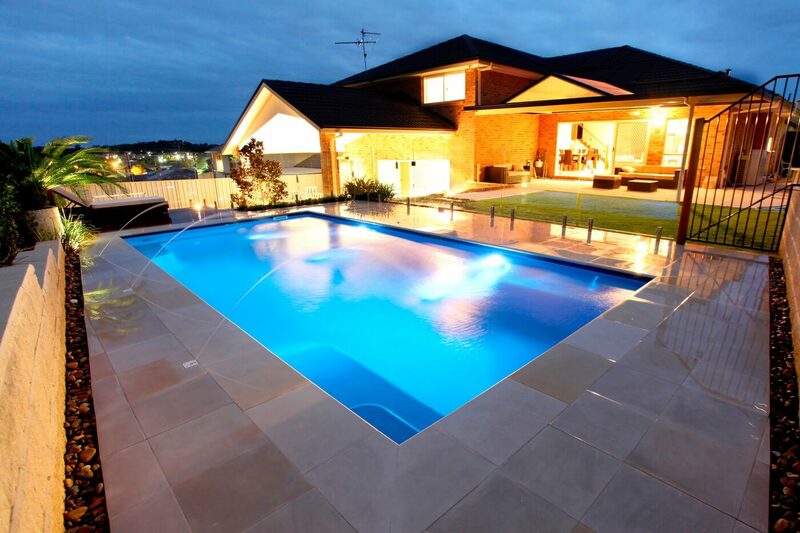 At night the lights in your pool will offer a glowing and mesmerising visual feature. 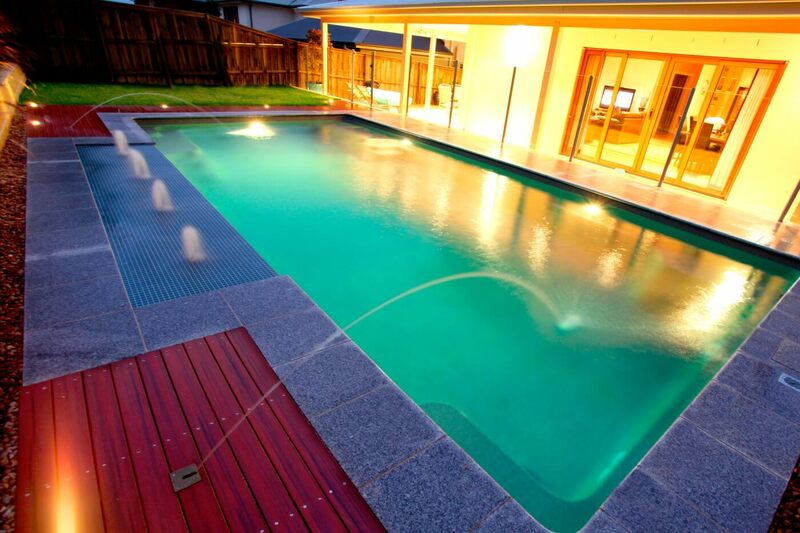 A water feature can be installed as part of a renovation or an integral part of a pool project. This is because they can be linked to the existing plumbing and pumps of the main pool. 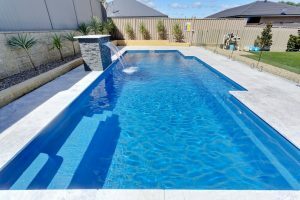 The type of swimming pool you will have built also affects the choice of water features (some of them would not go with the choice of your pool or would not match its style). 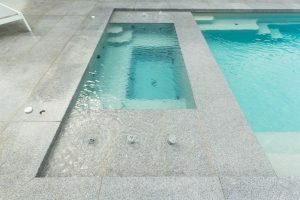 Before consulting a professional or purchasing a water feature, it’s important to understand the type of water features. 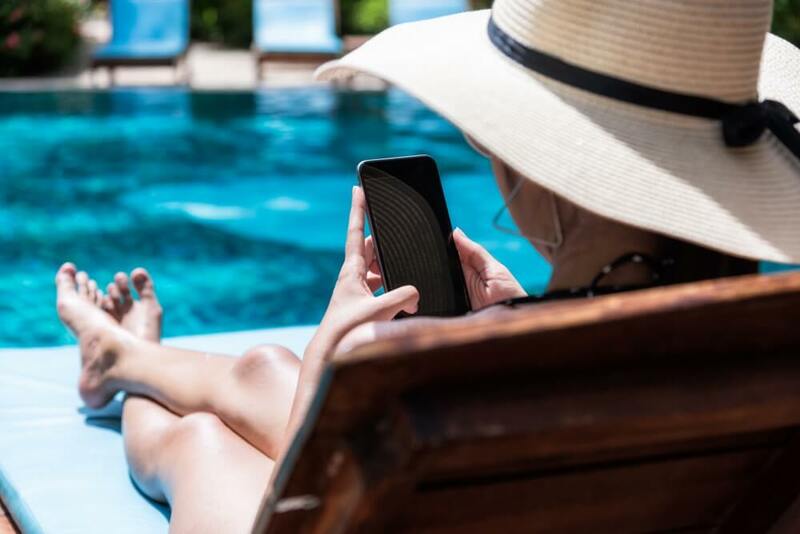 This is because you need to know the logistics involved when installing certain features and to understand which ones will look best for your swimming pool. Fountains range from the classic figurines, multi-heads kinetic extravaganza to single jets. There is a wide range of fountains from floating to spillovers. 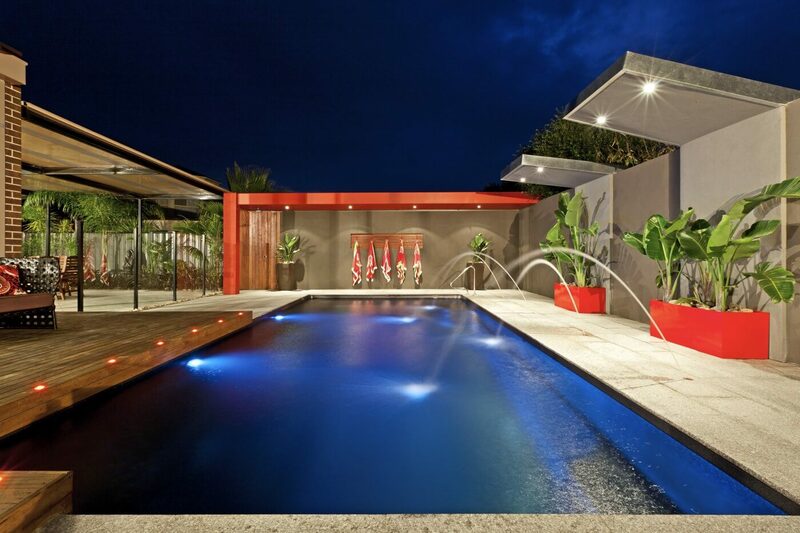 Fountain spouts and heads can be incorporated within the elevated pool walls which are adjacent to it. Traditional figurines and lion heads will look good in conjunction to gardens while stainless steel and glass fountains look good with contemporary gardens. 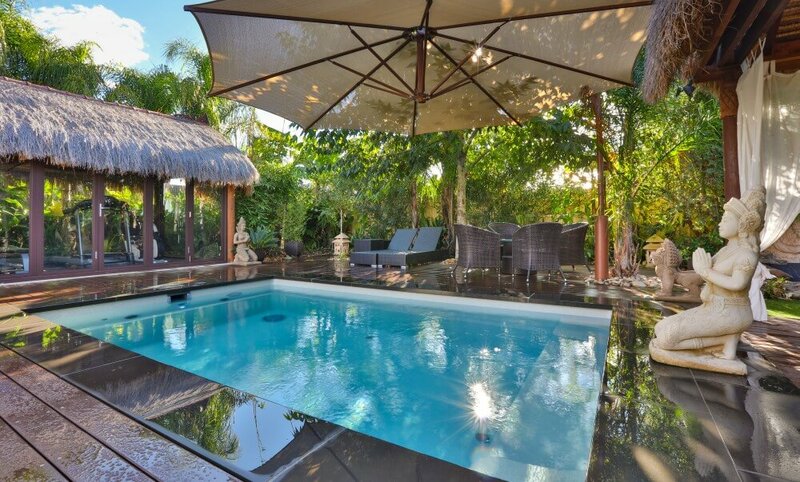 Fountains provide that elegant touch to a pool. Whether they are splashing into the pool or detached from the pool. Waterfalls are often built using boulders or rocks and they can be real or faux so that they look as natural as possible next to the pool. This is a vertical sheet of water that is rippling or cascading down a wall. They are the most common water features in most pools. 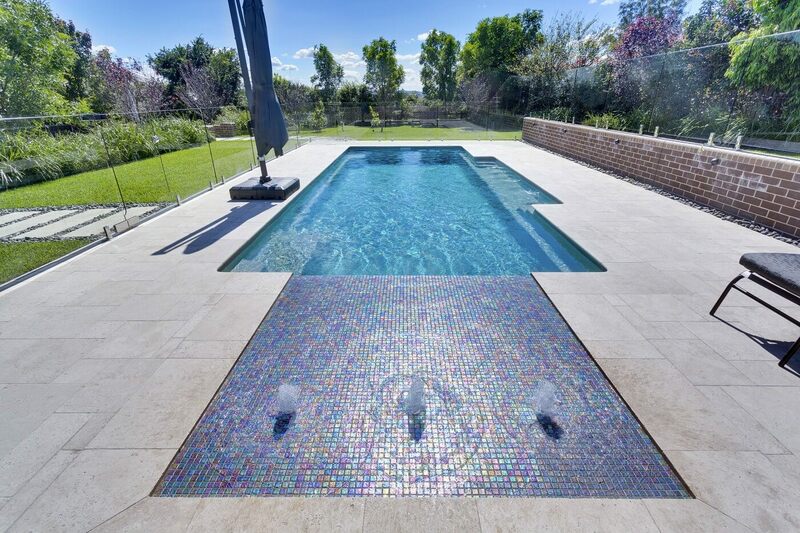 Tiles matching the waterline, granite, stacked stones, river pebbles, stainless steel, and cracked marble can create different effects when they are used to create a waterfall. Due to the height required and the small compact width of the water wall, waterfalls are mostly used in areas where there is a disguised wall behind it or space is at a premium. Waterfalls add a nice touch of breathtaking romance and mystery especially when they are hiding a grotto. This water feature is just like it sounds. Water is allowed to spill out from a horizontal spout, like a waterfall, that was placed on a decorative wall that is near the swimming pool. 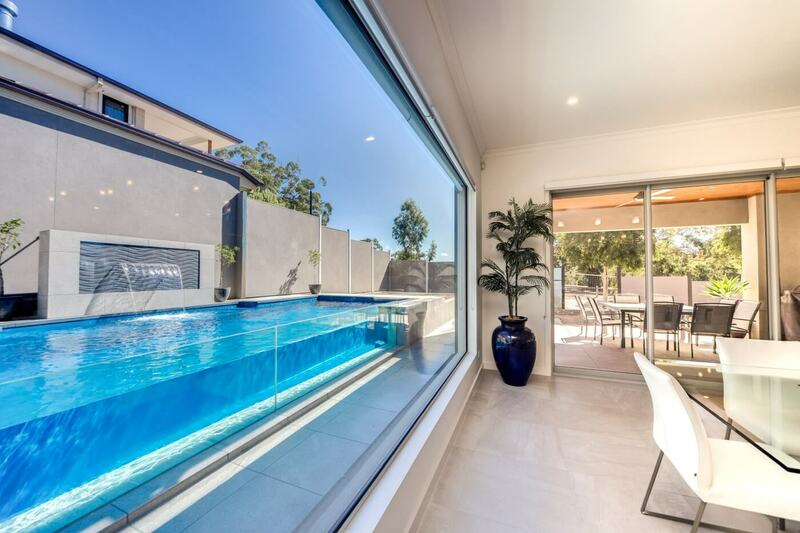 If the water wall is sheer in nature it can give a sophisticated look and a modern edge to any poolscape. It’s a slot or a spout which is attached to a pedestal or a wall. Water will flow in sheets, troughs or chute style when it’s being used. A sconce is similar to a scupper. It is a decorative element that is also attached to a pool wall. Water pours from it in streams. Sconce can come in a variety of shapes, urns, characters like animals, vessels and architectural pieces. They are also known as gushers. They are small jets on the floor in the shallow part of a pool that shoot streams of water which bubble up and gurgle on the surface of the swimming pool. The height of the streams can be adjusted this water feature adds a whimsical flair to your swimming pool making it look more fun. It is very common in our homes and specialty pools. This is an integral part of a custom-designed spa which is raised above the pool. It serves as a sort of utilitarian feature as it trickles or spills into the main swimming pool. 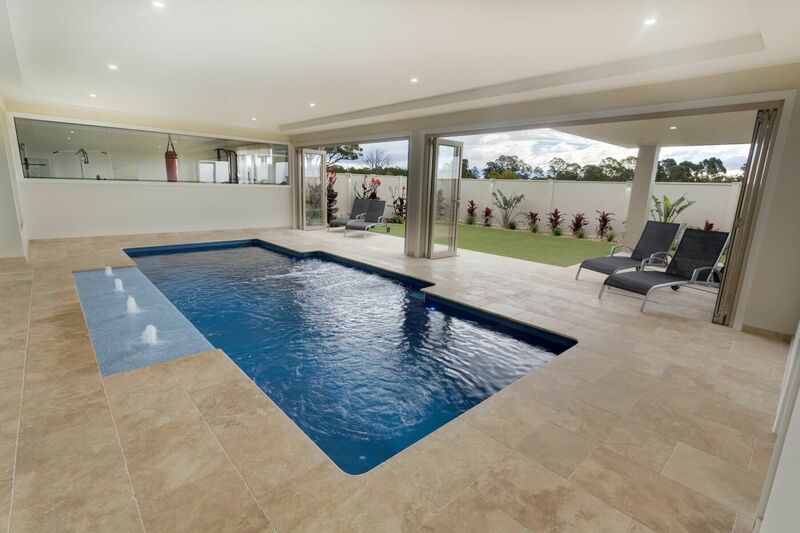 This water feature acts as the connector between your pool and hot tub making it look exciting and dramatic. They are often called pencil jets or laminar and they are usually installed on the pool deck while some can be installed inside the pool. It shoots a narrow arching stream of water inside the swimming pool. To make them look even more fun and dramatic, you can add illumination using color-changing LED lights. 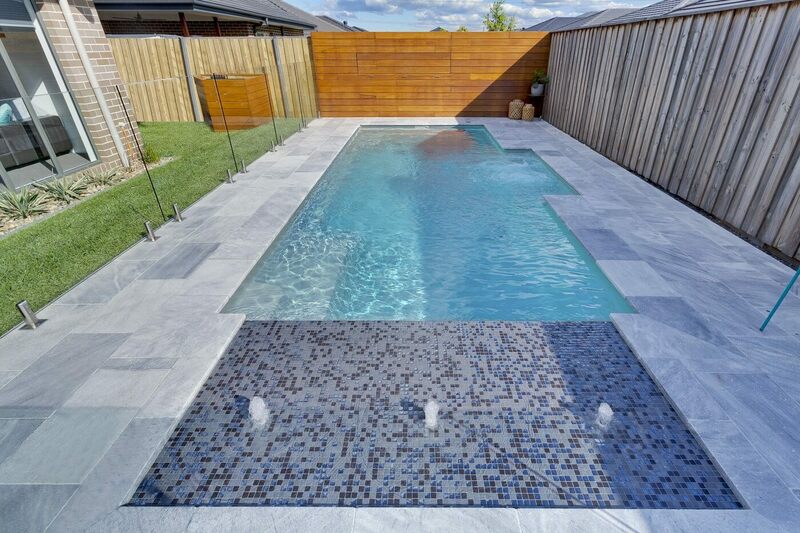 Water features have an uncanny ability to make an already amazing swimming pool into a spectacular water feature. In retrospect, a swimming pool in itself is a water feature. They enhance the ambience in any area that they are installed and they can be installed or built to suit any style. Whether it’s an elegant escape, tropical resort, family zone or a romantic oasis, a water feature will definitely fit your needs. You can add two or three different water features at the same time to your swimming pool and it will be transformed into a more romantic, fun and exotic pool. 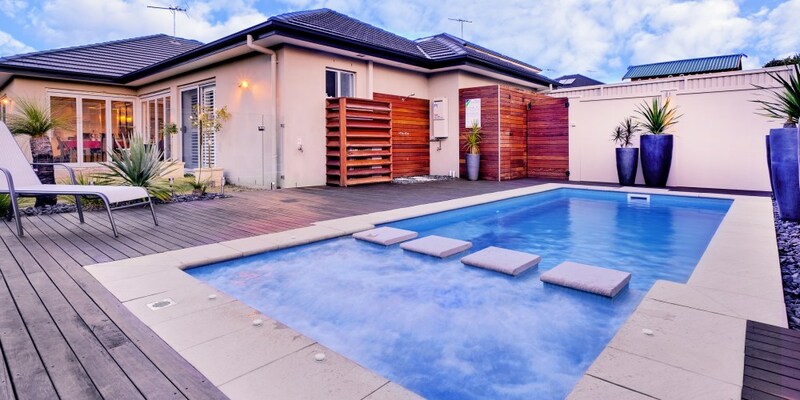 What is a plunge pool and is it the right pool for you? 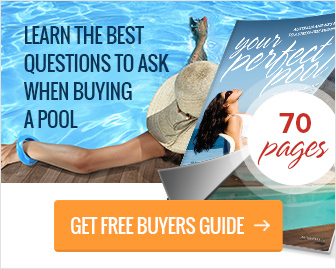 Have you thought about an infinity pool in your backyard? Australian plunge pools are now more popular than ever, with many homeowners seeing them as the ideal small swimming pool solution for their backyards. 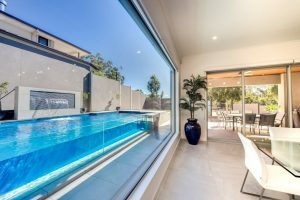 But what is a plunge pool? How is it installed? What are its characteristics and features? 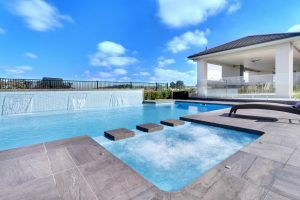 Here we explore everything you need to know about plunge pools, so you can find out for yourself whether one of these small, convenient pools is the right choice for you.